This page is a repository for alternate case designs for the [[Neo1973]], intended to be designed, built and fitted by the community/the phone's owner. Many specific suggestions can be found in [[Wish List - Hardware#Casing]] and corresponding links. This page is a repository for alternate case designs for the [[Neo 1973]], intended to be designed, built and fitted by the community/the phone's owner. Many specific suggestions can be found in [[Wish List - Hardware#Casing]] and corresponding links. Each alternate case design suggestion needs some or all of: a description, intended uses, design options, a 3D model in an open format (e.g. 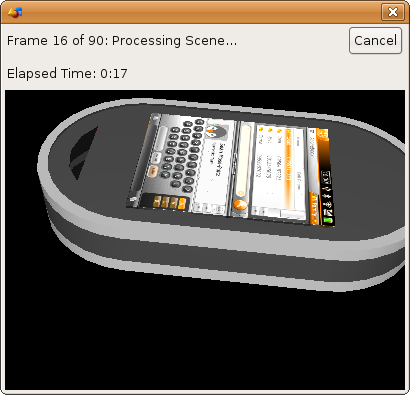 [http://en.wikipedia.org/wiki/STL_(file_format) .stl], .blend (Blender), .obj (Wavefront), [http://en.wikipedia.org/wiki/Art_of_Illusion .aoi (Art of Illusion)] ), rendered images of the intended design, materials, components and information regarding interfacing electronically to components within the phone. The [[CAD models]] of the [[Neo 1973]] and [[Neo FreeRunner]] have been published under a Creative Commons License: see [[Neo1973 case schematics]]. None of this can be accomplished without the dimensions of existing phones - if FIC are unable/unwilling to release precise dimensions, a user of a Neo1973 will need to measure their phone and upload the information to [[Neo1973 case schematics]] in the form of a 3D CAD model. Some users may want combinations of the variants listed - popular/simple options such as Stylus Mount/Different speaker orientation/Extra battery/Extra storage may be combined into one model. This should be taken into account when creating 3D models; i.e. it will simplify things later if the addition of (say) a solar panel, does not encroach on the area used for a touch strip, etc. Some users may want combinations of the variants listed - popular/simple options such as Stylus Mount/Different speaker orientation/Extra battery/Extra storage may be combined into one model. This page is a repository for alternate case designs for the Neo 1973, intended to be designed, built and fitted by the community/the phone's owner. Many specific suggestions can be found in Wish List - Hardware#Casing and corresponding links. Each alternate case design suggestion needs some or all of: a description, intended uses, design options, a 3D model in an open format (e.g. .stl, .blend (Blender), .obj (Wavefront), .aoi (Art of Illusion) ), rendered images of the intended design, materials, components and information regarding interfacing electronically to components within the phone. The CAD models of the Neo 1973 and Neo FreeRunner have been published under a Creative Commons License: see Neo1973 case schematics. Rapid Prototyping New Zealand - 3D powder based printer, not particularly well suited to this application. Some of these are a copy of requests in Wish List - Hardware#Casing, some are from ideas thrown up in the community mailing list. Open format, as suggested previously. This page is a repository for alternate case designs for the Neo1973, intended to be designed, built and fitted by the community/the phone's owner. Many specific suggestions can be found in Wish List - Hardware#Casing and corresponding links. None of this can be accomplished without the dimensions of existing phones - if FIC are unable/unwilling to release precise dimensions, a user of a Neo1973 will need to measure their phone and upload the information to Neo1973 case schematics in the form of a 3D CAD model. This page was last modified on 6 April 2009, at 16:20. This page has been accessed 40,176 times.